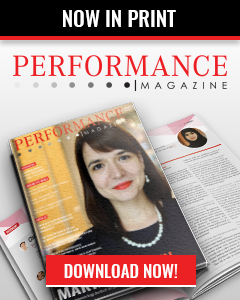 Performance Magazine | Do we really need organizational performance management to generate improvements? Performance Magazine > Organisational performance > Editorials > Do we really need organizational performance management to generate improvements? Performance improvement will only take place when the right metrics are monitored, when data is used adequately in decision-making and when there is a good context or environment for healthy measurement approaches. In the midst of disagreement between different approaches adopted by several companies, frameworks recommended by consultancy companies and academic perspectives, questioning the actual assumption of whether we really need performance management comes naturally. Performance management is among the most recent disciplines developed in business management, in spite of measurement being a process as old as time. Performance management has evolved side by side with strategy and quality management. Critics may even argue the necessity to consider performance management a self-standing discipline, when in fact many of its methods and tools are part of other related disciplines. One perspective is to claim that performance management should be without doubt everyone’s job in the organization, but when no clear accountability is assigned, not much progress takes place. Another point of view is to emphasize the fact that performance management is included in the responsibilities of every top management member, as well as the CEO’s. Nevertheless, managing performance is part of the C-suite job, but developing a dedicated performance management capability, which doesn’t necessarily have to be represented by an entire department, but one single person, can ensure a more qualitative process management. Moreover, it can impose a certain approach towards what is performance management and the use of its tools. As competition becomes more aggressive, clients more sophisticated, information and technology more accessible, managing a business goes beyond the traditional management capabilities (finance, human resources, procurement, sales etc.). The Performance Management Office nowadays stands side by side with other key functional areas. 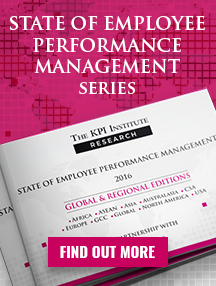 Our latest research study (2016) – State of Performance Improvement and KPIs, revealed that 80% of professionals claim to have noticed a positive effect in their organizations after implementing KPIs, and the same percentage has dedicated a Performance Management Office/Responsible Person. 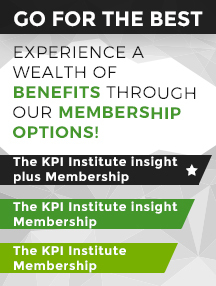 When talking about using KPIs, selecting the right metrics is one of the most challenging tasks, in relation to improving performance levels, with building the right culture and implementing improvement initiatives highlighted as being the most common pitfalls for organizations. In exploring the paradigm of performance management – do we need it or not?, we must look into the root cause of the issue. Are the principles which govern these frameworks defectuous or is the implementation and use of tools less effective? According to the same study mentioned above, only 98% of respondents admitted to having a performance management system established in their organization and 27% of these professionals feel like the decision-making process relies more on instinct than on data. Therefore, although most organizations have a measurement and reporting system in place, around a quarter of them still don’t know how to use data for improvement. This is a very common performance management pitfall – to create a very well-structured system in an environment which does not foster or nurture the key processes needed to generate value from KPIs. To make matters even worse, an article from Harvard Business Review pointed out that 36% of organizations are practicing unilateral decision-making, meaning decisions are taken top-down – the leader makes decisions alone, without consultations. Frameworks, systems, tools, software – these are things we can easily calibrate or improve, especially in the case of large and prosperous organizations. Most companies struggle with changing mindsets and cultures, with integrating new technology & ideas and with integrating millennials’ energy with the business and work experience of seniors. Nurturing essential processes, such as those concerning the use of data, decision-making and organizational learning, to ensure consistent performance improvement is quite the difficult task. Optimizing these processes is key for performance improvement. Converting data into knowledge – technology has enabled us to capture large volumes of data, about almost everything in the organization. However, few companies manage to generate the expected value from the technological investment, as they are facing difficulties in distinguishing between “not important”, “nice to know” and “very important” data. The proper use of KPIs should enable managers to bring more clarity into this matter and ensure the right data makes its way into their executive reports. The advantage of capturing large volumes of data is that it enables data mining and predictive analytics. Reliable data analysis should provide high quality data (on-time, complete, accurate, consistent) to streamline decision-making. However, this is not enough because no software can make the right decision for your business, nor can it replace human reasoning. For this, we need to teach managers how to look at data with a critical eye, we need to make them curious about exploring root causes and always double check figures as well as initial assumptions. Executives spend thousands of hours trapped in meetings – but how much of this time is used effectively? How many discussions are directed towards finding a solution? How much time is spent on root cause analysis of past events, instead of planning ahead and discussing future opportunities? How much time do we waste on solving operational matters, compared to developing strategic initiatives? A key element to ensure all important aspects are captured in our performance review meetings is to create a clear calendar of meetings and to define the specificity of each meeting. Each meeting should be defined by 3 characteristics: frequency, audience and discussion focus. Once the discussion focus is clarified, the other two components can be easily established. For example, short-term strategic matters can be approached during a quarterly meeting of top management. On an annual basis, medium and long terms perspectives can be discussed among top management and the Board (if the case of an upper hierarchical level). Moreover, monthly performance review meetings, to address operational issues, should take place at the departmental level. Agile organizations must create reliable and fast decision-making processes in order to respond to market challenges and take advantage of opportunities as they arise. 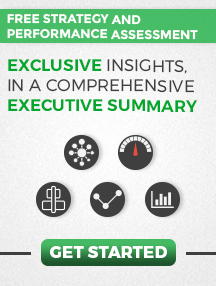 Decision-making can be significantly optimized by effective performance reporting. If data is accurate, complete and readily available, you are more likely to quickly decide upon the next right moves. A simple thing, such as the format of the performance report, can facilitate the use and understanding of data. When data can be accessed in real time, proactive decisions can prevent the occurrence of dire situations. Furthermore, decision-making is a social process. In most organization, decision-making at the strategic level requires team effort. However, it is very commonly approached as a voting process, instead of a collective brainstorming process and analysis of potential solutions. The challenge of thinking together is making people put aside their egos, bringing everyone on the same page and making them ask the tough questions. Effective decision-making should harmoniously combine fact-based decisions with the urgency to act, while using the collective knowledge and experience of the top management team. Project management is one of the disciplines that cuts through performance management, as it reflects the organization’s ability of getting things done. Companies can be very skilled at planning and measuring, but if they are unable to transform ideas into reality and generate the expected outputs, it is all for naught. Large or small, cross-functional or independent, all initiatives deployed in an organization are experiences of planning and implementing decisions. “Better” project management, in this context, has two meanings. On one hand, project management should be effective in delivering what is expected and on the other hand, project management should be relevant for the organization. Nonetheless, if isolated from the organizational context, all projects can be very important and valuable, but when they are analyzed in correlation to the rest of the organizational initiatives, perspectives may suddenly change. Relevant project management should ensure that initiatives are handled similarly to an investment portfolio, looking for the maximization of the overall return, not for each and every single investment or project within that portfolio. According to a Harvard Business Review research (2015), 51% of executives admitted that they invest too much in non-strategic projects. The lack of visibility over what projects are on roll ,at a certain moment in time in the organization, and their overall impact on strategy, leads to wasting resources on initiatives which would not be a priority otherwise. Developing a centralized Portfolio of Initiatives can bring great clarity to this process. Organizational learning takes place as a natural process in businesses. However, when properly guided, it can maximize the non-tangible assets of the organization – the intellectual capital. Every performance reporting cycle is a learning experience, it is an opportunity to assess what resources were used, what actions were taken and what were the actual results. 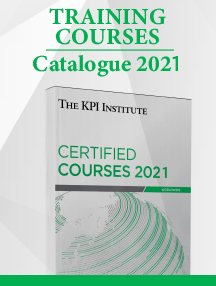 The use of KPIs provides continuous feedback on the quality of the processes and interactions with the organization, as well as interactions with external stakeholders. Capturing the lessons learned, building Communities of Practice, stimulating innovation and employee engagement can become competitive advantages which position the organization as a market leader. Better organizational learning implies conscious actions to nurture learning and improvement in the company, and you should look to embed this notion it into your organizational culture. To conclude, Performance Management can drive and support continuous improvements, but in the end it is not about the framework – whether it is a Balanced Scorecard System or a Six Sigma approach – it is about the art of building the right context in which performance measurement and improvement can flourish and where methods, tools and techniques are rigorously and systematically applied.